Reviews of the Olympus Tough TG-3 from around the web. Last year's TG-2 has proven to literally be a tough act to follow for Olympus, thanks to it blending rock-hard construction with a host of action-orientated features and the widest-aperture lens in the class. Consequently the TG-3 doesn't mess with this recipe too much as it maintains the same lens and toughness credentials but adds a new 16 megapixel CMOS sensor to replace the TG-2's 12 megapixel device. 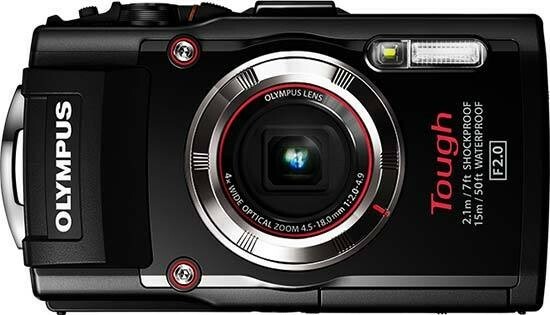 Since the introduction of the TG-1, Olympus has been on the top of our recommendation list for tough cameras. Its latest effort, the TG-3 ($349.99), adds a few features that were absent in the TG-1 and TG-2, including Wi-Fi and a robust Microscope macro mode that supports in-camera focus stacking. Its 16-megapixel image sensor introduces a bit more noise in photos than previous 12-megapixel models, but the wide-aperture f/2 lens captures a lot of light so you can keep it set at a reasonable level. And there's a unique LED light accessory available for macro illumination. The TG-3 is a worthy successor to its predecessor, and follows it as our Editors' Choice for rugged compact cameras.